Mette-Marit Tjessem Høiby had little higher education when she met and later married Norway’s Crown Prince Haakon. The former waitress and single mother from Kristiansand has been catching up ever since and now, as crown princess, has completed a master’s degree but won’t reveal its subject matter. Dagbladet reported that Mette-Marit has taken three courses at BI since 2008, on leadership and consulting. An earlier planned thesis on humanitarian organizations, King Haakon and “servant leadership” wasn’t deemed good enough, according to Dagbladet. 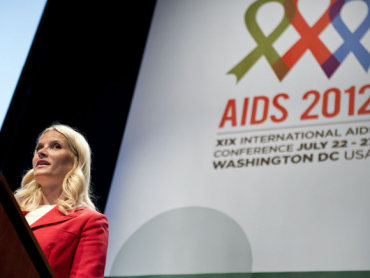 Crown Princess Mette-Marit, who has three children, is perhaps best known for her work involving HIV/AIDS, and she took part in another international conference in Washington DC last week before heading for the Olympics in London.